Practi-Shield Face Barriers for CPR Training by WNL Safety Products. Barrier protection for students sharing a manikin during CPR training. Available in dispenser box with 36 or 200 barrier shields per box. Not made with natural rubber latex. Choose quantity desired from dropdown window above. I have been using these face shields for years. They are very economical and excellent for manikin practice in my CPR trainings. AED Superstore is a great company to work with--very prompt shipments and outstanding pricing! 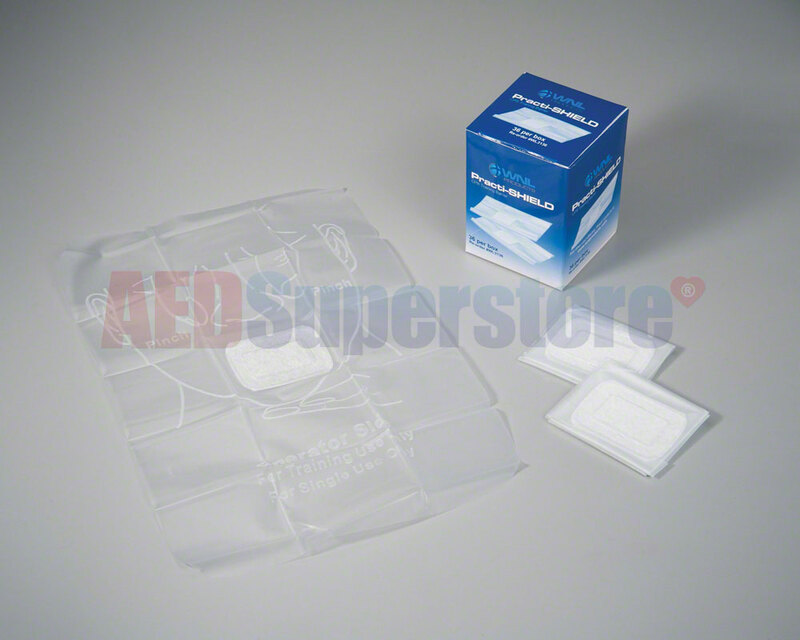 When discussing where to purchase AED's in my CPR classes, AED Superstore is one of the companies I highly recommend.